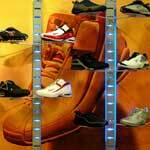 Slatwall is one of the most popular display solutions on the market today. When used in conjunction with acrylic, glass or metal accessories, slatwall panels and slatwall displays can effectively present virtually any product including apparel, gifts, books, jewelry, house wares and more. Slatwall panels and fixtures are available in hundreds of different laminates and veneers, which further enhances the versatility of this display system. Please click on one of the categories below for available options and pricing, or call one of our customer service representatives at 1-800-454-4844 with any questions. 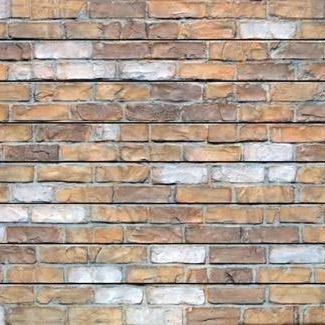 Click here for more specific information about slatwall. Slatwall Panels - Available in paint grade, low pressure laminate (LPL), high pressure laminate (HPL), natural wood veneer and more, these panels are the basis for some of the most attractive displays in the retail industry. When enhanced with vinyl or metal inserts, these panels truly come alive and allow for a merchandise presentation that is not only durable but also pleasing to the eye. Textured Slatwall Panels - Textured slatwall is not your average run-of-the-mill slatwall. These will instantly change the ambiance of your retail store and set you apart from your competitors. Choose from Brick, Barnwood, Slate and more. MUST SEE! Wood MDF Panels - The beauty and look of real wood with advantages! No cracking or warping issues you can get with real wood. 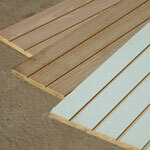 Choose between a selection of fresh cut wood looks or reclaimed or weathered wood. 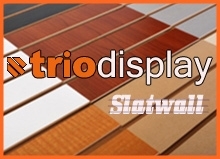 Steel Slatwall - These interlocking steel strips create all-metal displays that utilize the exact same accessories as their medium density fiberboard (MDF) counterparts. 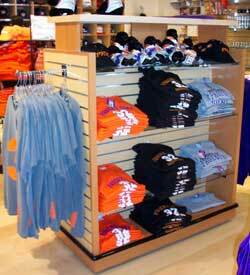 Available in several metal and solid color finishes, steel slatwall creates a display that can handle the heaviest of merchandise and still add an attractive edge to any retail environment. Slatwall Fixtures – Available in both standard and custom configurations, these attractive fixtures are the perfect addition to any retail space. Typically finished with any combination of Low or High Pressure Laminates and available with extras such as casters, groove inserts, logos and more, these fixtures have no trouble displaying nearly any type of merchandise effectively and efficiently. 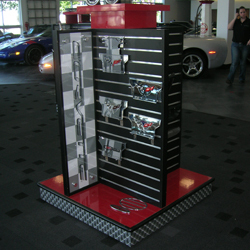 Slatwall Accessories – You name it, there’s a slatwall accessory that can display it. From all-metal fixtures such as hooks and hang rails to glass shelves and acrylic literature holders, our slatwall accessories section provides limitless options for the display of nearly any type of merchandise. Freewall – New to the TRIO catalog, Freewall allows retailers to “float” merchandise on a wall in nearly any configuration with the use of many standard slatwall accessories. Installation is simple and the result is a display that is truly one of a kind. 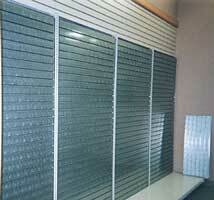 Slatstrips - Offers a minimalist display solution while still retaining the versatility of a standard slatwall panel. Both elegant and efficient, Slatstrips are easy to install and accept several different kinds of standard slatwall accessories.